When working as a San Francisco wedding photographer there are many locations that provide great backdrops to capture the splendor of the wedding day. 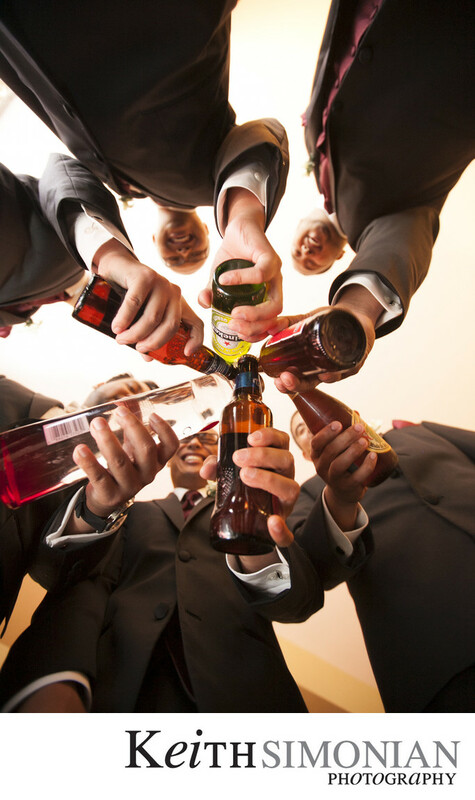 What makes this photo so interesting isn't backdrop of the city, instead it's unique angle that captures the groom and groomsmen toasting while getting ready for the wedding. Sometimes the best angle for a photo is from above, and other times like in this photo lying on your back photographing up towards the beer bottles is what makes this image click. 1/30; f/2.8; ISO 2000; 16.0 mm.